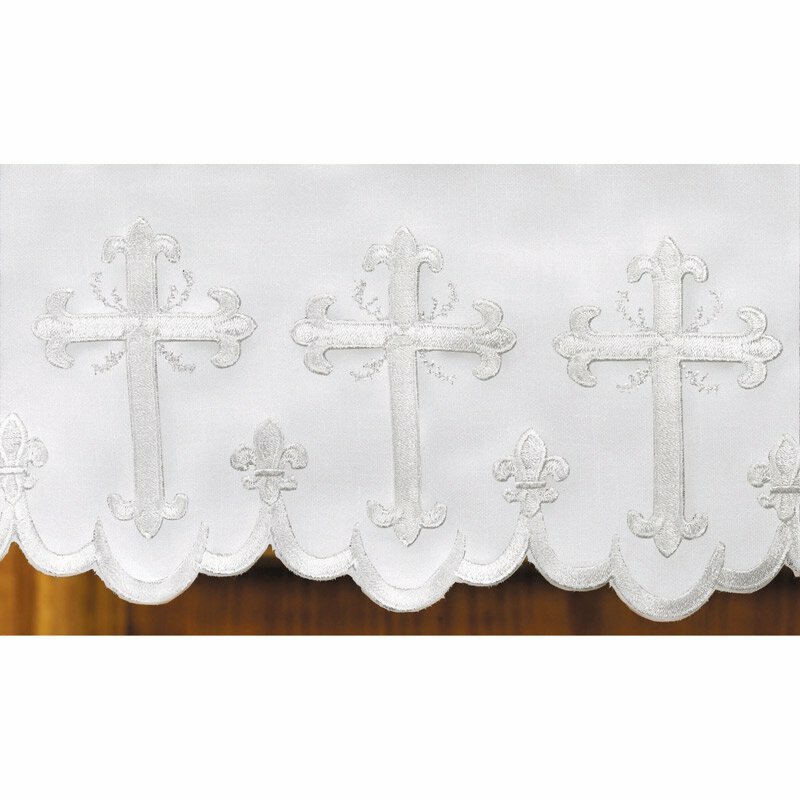 This altar frontal from R. J. Toomey™ features Schiffli cross embroidery on the front and back, made by a special machine that creates the luxurious scalloped effect on the edge. 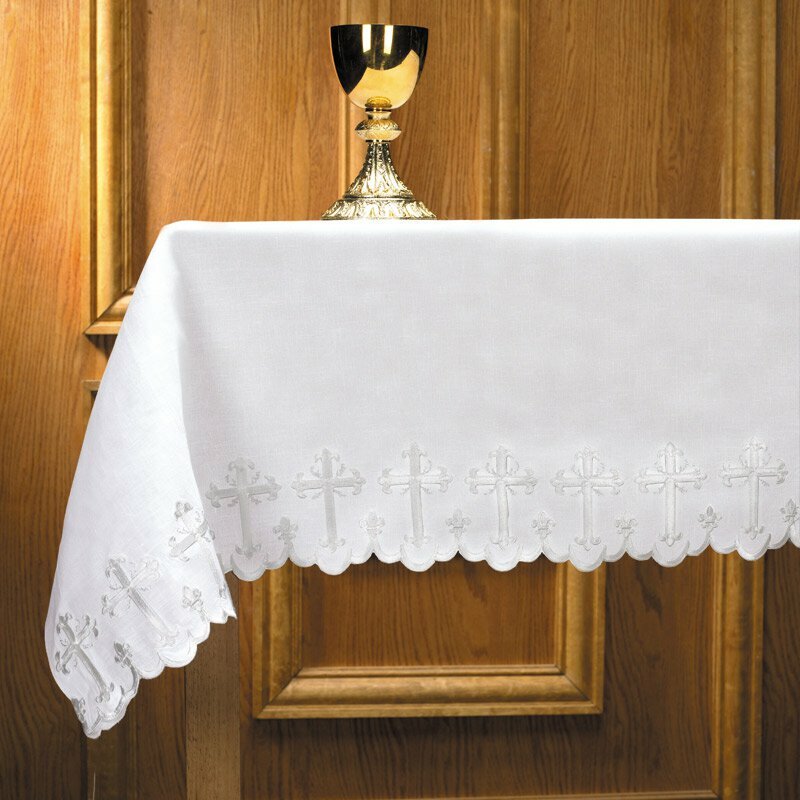 A fine quality 100% linen that may be used for multiple seasons throughout the church year. Also available in longer length (#PS272).